If you listen to the news at all, or certainly if you are Catholic, you now know that a new pope has been elected. Immediately after accepting his election, the new pope is asked, “By what name should you be called?”. He then announces the regnal name he has chosen. On March 13 of this year a Jesuit priest named Jorge Mario Bergoglio, became Pope Francis. 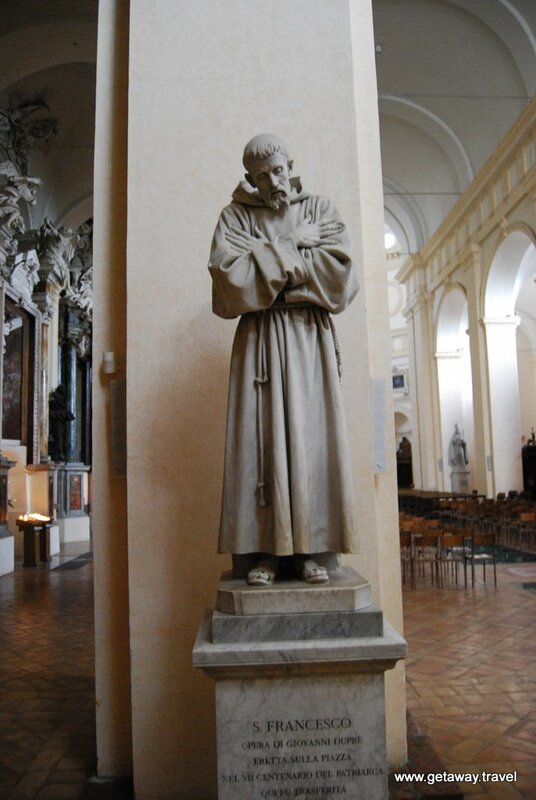 The name was chosen in honor of Saint Francis of Assisi. This is the first time that a pope has chosen this name. Francis, whose full name was Francesco di Pietro di Bernardone was born around 1181 in Assisi, Umbria, Papal States (now Italy). Francis was born into a privileged and wealthy family. 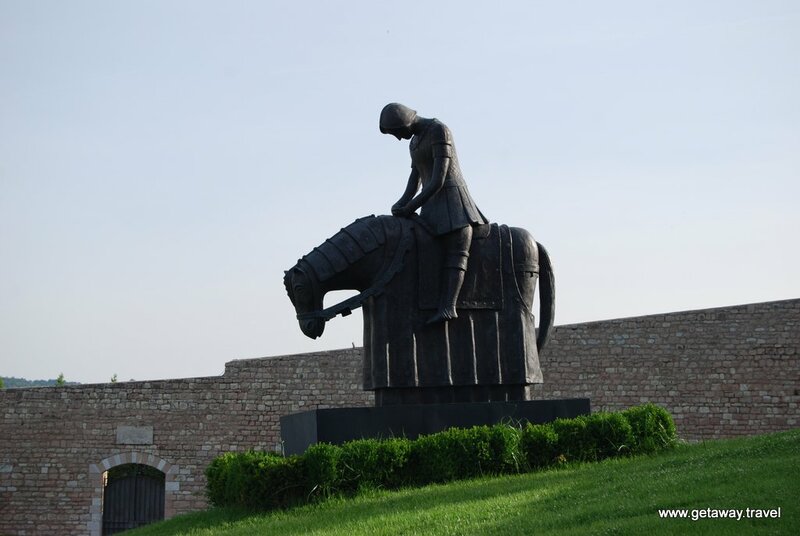 At the age of 19 he outfitted himself as a knight to join in the war against Assisi’s rival, Perugia. After a rather quick defeat, Francis spent nearly a year in prison while his father raised money to pay his ransom. Afterwards, Francis lost his taste for worldly life. On a pilgrimage to Rome he joined the poor in begging at St Peter’s Basilica. This and other experiences moved him to live a life of poverty, preaching the gospel on the streets of Assisi. He soon amassed a significant following and the Franciscan religious order was authorized by Pope Innocent III in 1210. 2 years after Francis’s death he was canonized as Catholic saint in 1228. Immediately afterwards work was begun on the Francesco di Pietro di Bernardone, which is now a World Heritage Site. 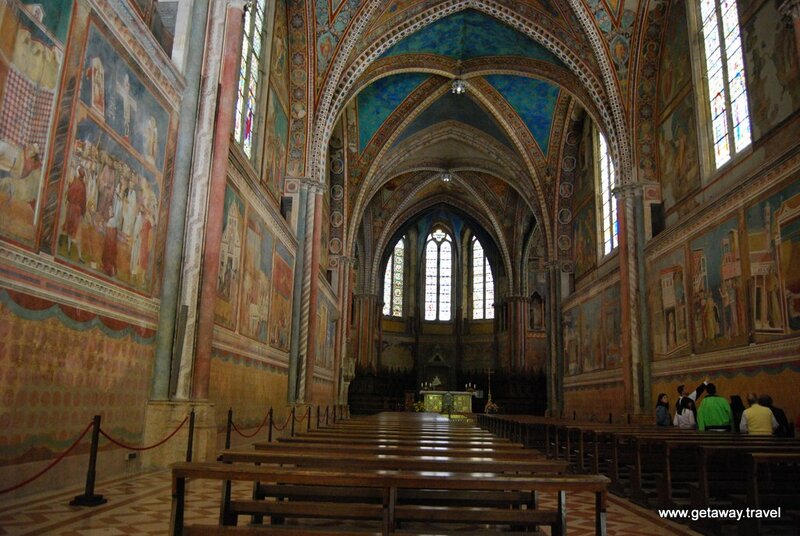 The church is enormous with both an upper basilica, a lower basilica and a crypt with the remains of St. Francis. 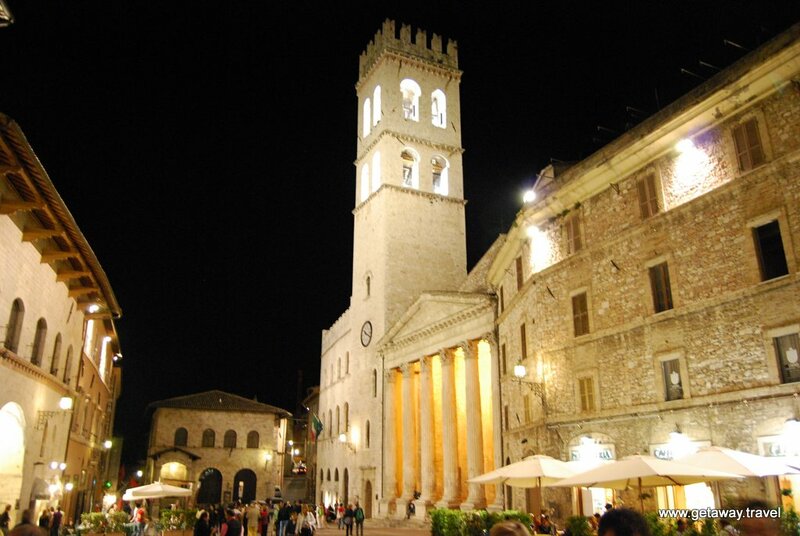 The town of Assisi is dominated by 2 medieval castles. The larger, called Rocca Maggiore was built in 1367 and meant to intimidate the people of the town, the smaller was built earlier and not all of it still stands. 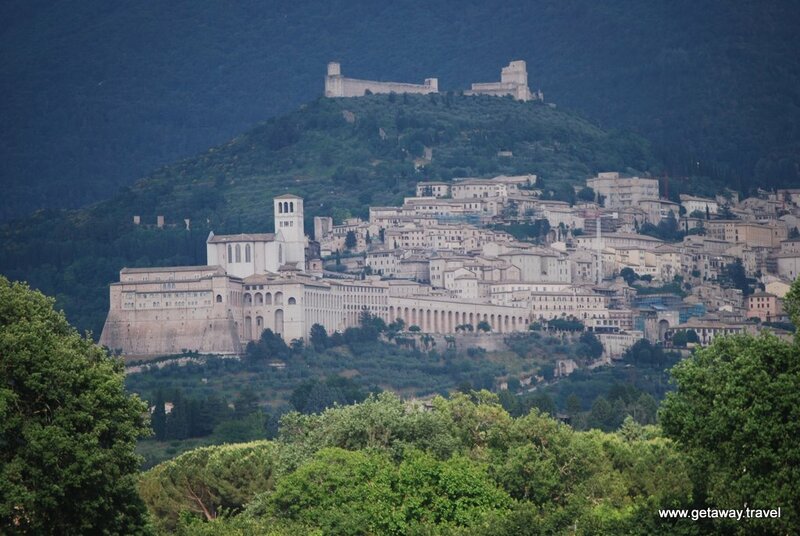 We last visited Assisi in 2008. It is certainly well worth the effort to get there. 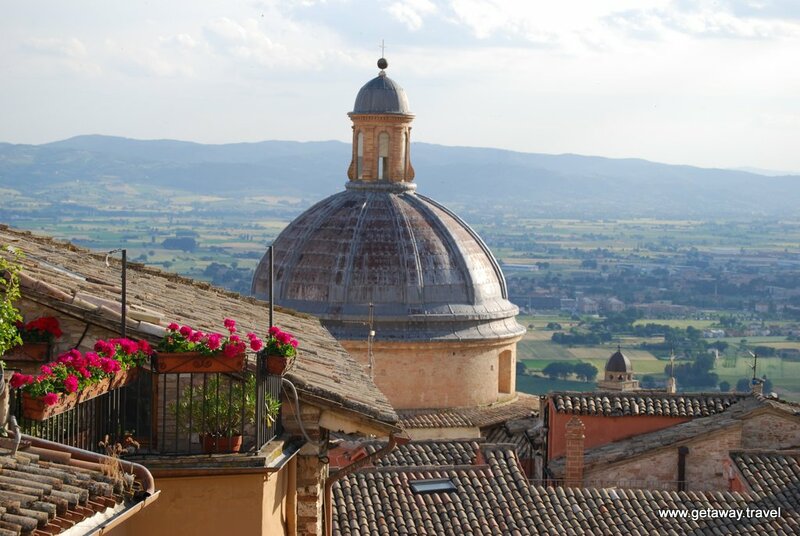 While in Umbria you can also go to the equally interesting city of Perugia and make a detour to stop in and see the beautiful 14th century Cathedral in Orvieto. And of course, once you are in Umbria, Tuscany with it’s amazing hill towns and world class vineyards is only a short journey away. Italy never ceases to amaze the traveler. 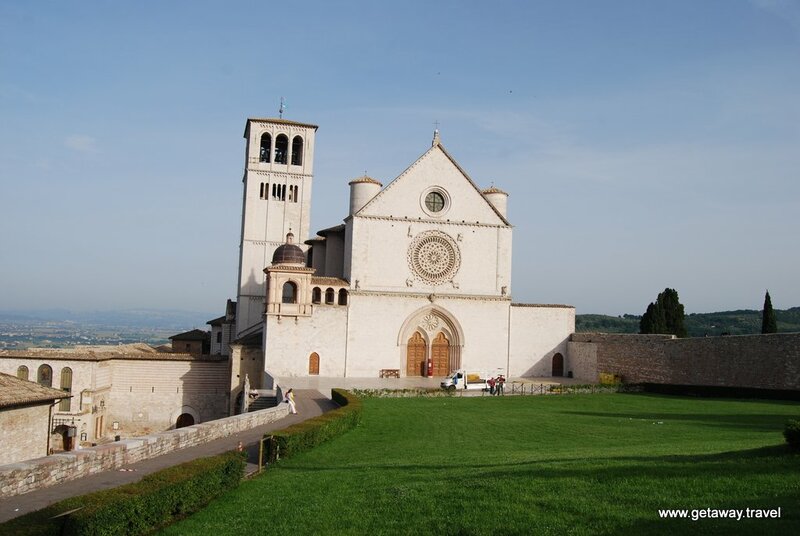 This entry was posted in Europe, Italy, Travel, Travel Agent and tagged assisi, italy umbria, pope francis, saint francis on March 16, 2013 by Paul - GetAway Travel Service. Assisi has an amazing vibe. I absolutely loved it there and would return given the opportunity!